Microsoft said it will patch a zero-day vulnerability in Internet Explorer 10 being exploited in watering hole attacks. The patch is one of five bulletins expected next Tuesday. Microsoft will patch a lingering zero-day vulnerability in Internet Explorer next Tuesday, one of five bulletins it will release as part of its March 2014 Patch Tuesday security updates. The IE 10 zero-day was disclosed close to a month ago when researchers at FireEye reported on Operation SnowMan, an espionage campaign that compromised the U.S. Veterans of Foreign Wars website. The attackers, experts said, were targeting the computers of active military personnel who visit the site seeking benefits information. FireEye said a Flash exploit was used via an iFrame to trigger the use-after-free vulnerability in the browser. Compromised computers were hit with a remote access Trojan that stole data; experts speculate the attackers were hoping to gain steal military secrets from the active service members who use the site as a resource. It was soon discovered that a second and unrelated group of attackers was also exploiting the IE 10 zero day, this time to impersonate a number of French aerospace companies, redirecting legitimate traffic to the hacker-controlled domains. Researchers at Seculert said malware that changes host files on infected machines in order to add in these malicious domains had previously been the domain of pharming attacks used for fraud. “This is the first time we have seen a malware change a host file for a purpose other than fraud perpetuated by pharming or for disabling access to specific websites,” Seculert CTO Aviv Raff said. 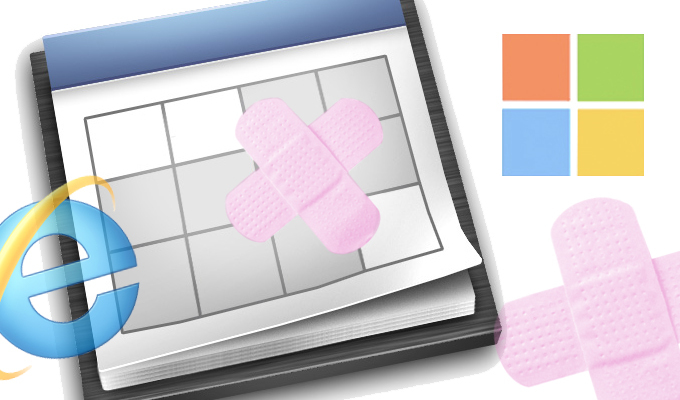 Microsoft had shipped a Fix-It mitigation for the zero-day as a stopgap until a patch was ready. Microsoft said IE 9 also contains the same vulnerability, but it was not being exploited. IE 11 users running the Enhanced Mitigation Experience Toolkit (EMET) were also protected against these attacks. The IE update is one of two critical bulletins expected next week. The other is also a remote code execution vulnerability in Windows. All five bulletins announced by Microsoft today affect versions of Windows or IE all the way back to Windows XP, which Microsoft will no longer support with security updates as of April 8. The remaining three bulletins were rated “important” by Microsoft and include elevation of privilege vulnerability and security feature bypass issues in Windows and another security feature bypass issue in Silverlight. Silverlight, meanwhile, has relatively limited adoption and given Microsoft’s support of Flash in IE 11, it’s not out of the question it will be discontinued eventually, said Tyler Reguly, manager of security research at Tripwire. “In a world filled with so many web technologies, vendors could better serve the public by simply limiting choice and removing dead weight,” Reguly said.